Oyinade was definitely oblivious of the fact that I was in the office as she held on to Richard like a lifeline. Richard tried to detach her on sighting me but she clung to his shirt, too busy crying. just pushed the door wider and there, before me was Richard holding a crying Oyinade to his chest with his arms all over her. and shock of the staff. away from him as possible. He called me over and over but I turned a deaf ear, wiping more tears from my face but it didn’t stop. “What is wrong with you, Bell? “And what? And you decided to offer yourself as a substitute?” I said with pure anger. He looked outraged and pained. “What? You don’t trust me? for how long have you had that doubt honey?” he said folding his arms around his chest. I kept on lamenting, vibrating with tears of anger and hurt. she tell you?” I was confused. Oyinade jubilated like she never had in her life. She never expected things to turn out the way they did. her, she would have someone see them who could carry the gossip to Belina. what the matter was without waiting for the doctor’s report. now” he said still smiling. Richard blinked and swallowed hard. “W… what are… what are you talking about?” he stammered. 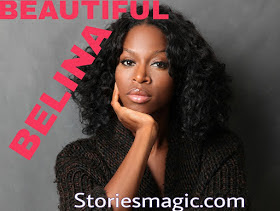 0 Response to "STORY: BEAUTIFUL BELINA (Season 2,Episode 18)"